Professor Wai-Yee Chan is Pro-Vice-Chancellor, Master of CW Chu College, Professor of Biomedical Sciences and Acting Director of School of Biomedical Sciences, Faculty of Medicine, The Chinese University of Hong Kong (CUHK), Hong Kong. 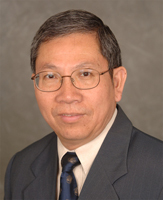 Professor Chan obtained his BSc (First Class Honours) from CUHK in 1974 and PhD from the University of Florida, Gainesville, Florida, USA in 1977. Prior to assuming his current position in June of 2009, he was Professor of Pediatrics, Georgetown University, Washington, DC, and Head and Principal Investigator, Section on Developmental Genomics, National Institute of Child Health and Human Development, National Institutes of Health, Bethesda, MD, USA. His expertise is in developmental genomics and molecular genetics of endocrine disorders. He received the 1988 Merrick Award for Outstanding Biomedical Research and the 2008 Presidential Award from the Association of Chinese Geneticists in America. He serves on the editorial board of a number of international scientific journals and on review panels of regional and international research funding agencies.